Petronas wanted to hold an event where they could combine both work and play that enabled them to have a business meeting in the morning and a team build in the afternoon accompanied with food and drinks. The ATM Events venue finding team found the DeVere Devonport House as an ideal location to hold the event. This magnificent Georgian estate in a stunning countryside setting was the perfect venue with its country house feel set in traditional décor showcasing the quality of its interior and grounds. On the morning of the event the hotel provided one of their unique meeting rooms where Petronas were able to successfully meet their aims and objectives. 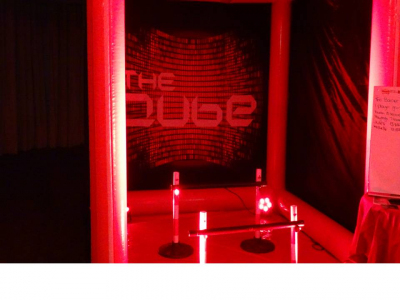 This venue was also able to offer tranquillity with complete exclusivity of the Lawn area and this allowed ATM Events the pleasure of delivering their Kube Challenge team build. Comprising of assorted challenges to test your strength, mind, balance and will power! The Petronas team were split into 4 teams and given nine lives as they undertook a structure of straightforward tasks that become extremely challenging when confined and put under pressure in front of your colleagues! . 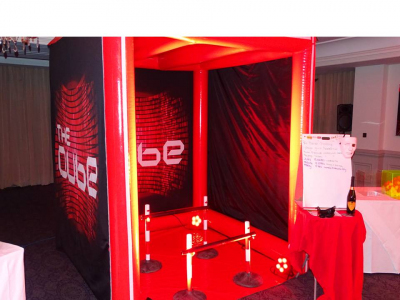 All of the games take place inside our very own Kube and the teams had to choose which team member would compete in each task, which can range from testing their agility, mental ability, intelligence and response. After a fantastic afternoon the group made their way to the courtyard where they enjoyed a succulent fire pit barbeque with drinks allowing the Delegates to unwind after an eventful day. Please get in touch with us; we would love to help you have an amazing day like our Client by enquiring at enquiries@atmevents.co.uk for more information.